Homepage > Blog > articles > Spinal Decompression Therapy. Is it a Solution for you? Do you suffer from chronic back pain? If you do, you know that it can be hard to think of anything else other than seeking relief. Chronic back pain can disrupt your quality of life to a point where people turn to surgery or medication to ease their pain. The good news is, your local chiropractor may have a solution for you, it’s called, Spinal Decompression Therapy. If you’ve never heard of this exciting therapy, after reading this article your life may never be the same. Here at the Back and Neck Center of Brick, we utilize this technique to ease back pain for our patients. Nonsurgical spinal decompression is a therapy used to create negative pressure in the disc. As a result, bulging or herniated discs may retract, taking pressure off nerves and other structures in your spine. In simpler terms, decompression can relive pain becuase it gently stretches the spine making way for water, oxygen, and nutrient-rich fluids into the discs so they can heal from injury. WHO SHOULD NOT HAVE SPINAL DECOMPRESSION? Not every person or every condition is a good fit for Spinal Decompression. This is why the experience and knowledge of your Chiropractor is key. He or she has to fully evaluate your condition and the present state of your overall health. At the Back and Neck Center of Brick, we believe the best way to evaluate our patients is thorough examination and digital X Rays, with emphasis on the latter. X-Rays give the doctor a look inside your body to see if you have any risk factors associated with treatment. Not only is it a precaution, but it also provides the doctor with all the knowledge needed to diagnose and treat a patient with better accuracy. If you’re somewhere dealing with chronic back pain, you should consider Nonsurgical Spinal Decompression. It’s an effective therapy for many patients. We always recommend trying to ease your aches and pains naturally without seeking help from medicine or surgery. 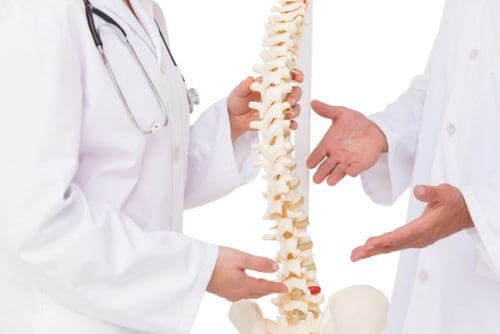 A life without back pain is just call away.If you’re in search of a highly experienced Chiropractor in Brick, Toms River, or anywhere in Ocean County, the Back and Neck Center of Brick can help. 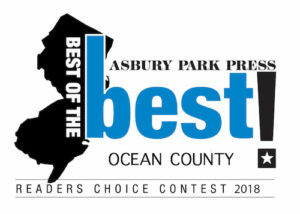 We have been Voted #1 Best Chiropractors in Ocean County 9 times in a row from 2009 – 2017 by readers of the Asbury Park Press! Next Next post: Cold Laser Therapy. Is it the Right Treatment for you?